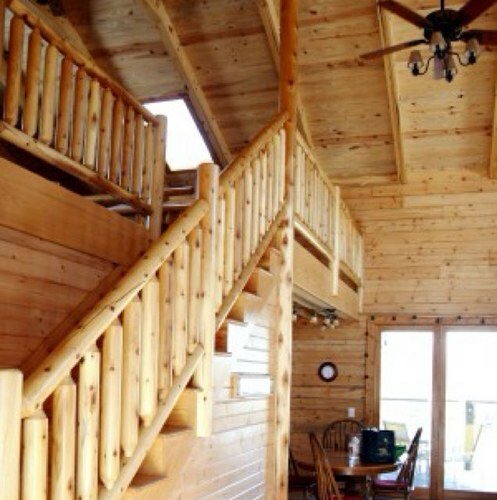 Are you looking for top-shelf cabins for rent in Southern Illinois? Look no further: the votes are in and Tom Cat Hill Cabins is the place to stay for your next family get-together, romantic secluded getaway weekend, or casual tour of our very popular Shawnee Wine Trail here in Southern Illinois. With beautiful hand-made elegant and warm wood interiors and all the best comforts of home, everyone agrees that it just doesn’t get better than choosing a stay with us here at Tom Cat Hill Cabins. We’ve revamped our website recently and made a few changes, including our primary reservations system partner, WebReserv, which also means your purchases with us are 100% secure and utilize industry-standard encryption to deliver a safe and reliable transaction. We think you will appreciate the simplicity of making a new reservation with us, but we also want to hear from you. How was your visit? Let us know by dropping us a line or using the contact form above. Thanks for making Tom Cat Hill Cabins the choice destination among cabins in Southern Illinois! Cancellations made 4 weeks prior to check in date will be refunded in full. Cancellations made between 27 and 22 days prior to stay will forfeit 50% of total balance for reservation. Cancellations made with 3 weeks or less prior to stay will be charged the full balance for your stay, as it is hard to fill these vacancies with less than 4 weeks notice. • The posted cabin rates accommodate 4 persons. Each person thereafter will be charged $10.00 per person per night if approved prior to the first night stay. There will be a $25.00 per person per day charge for any unapproved occupancy. • Parties with over four guests will automatically be charged a $30.00 cleaning fee for the Jacuzzi. It is our experience that this causes excessive dirtiness and requires draining and cleaning of the hot tub. • The minimum age to rent Tomcat Hill Cabins is 21 years old. • Pets are not allowed at Tomcat Hill Cabins. A charge of $200.00 will be automatically applied if pets are observed at Tomcat Hill Cabins or if it is determined that pets were present at the cabin. The renter is also responsible for any damages incurred by pets should they be present. • Smoking is not permitted inside Tomcat Hill Cabins. Please be respectful and dispose of cigarette butts in the appropriate receptacle OUTSIDE. Evidence of inside smoking will result in an automatic $200.00 cleaning fee. • Please be respectful of the contents both inside and outside of Tomcat Hill Cabins. You are responsible for any missing or damaged items that result from your stay at Tomcat Hill Cabins. All items should be returned to their original location upon your departure. • A fee of $30.00 will be charged for a check that is returned due to insufficient funds. • With great care for our lovely cabin and the arriving guests please follow the cleaning policy posted in cabin binder. A minimum 75.00 fee will be charged for not following cleaning policy. • We provide one bath towel set and one beach towel (for hot tub) for each guest in your party. If you need more, you may use the washer and dryer or bring additional towels with you. • Guests do not have permission to adjust permanent settings on our television, satellite, or DVD player. Do not attempt to rewire or connect your own electronics to our equipment. • We provide a starter supply of tissue, paper towels, hand soap, and garbage bags. These items will not be restocked during your stay. If you need additional supply for these items you may bring your own or purchase them locally. Tom Cat Hill Cabins reserves the right to change rates, rental agreement, and policies at any time prior to your stay. Thank you for helping us keep the cabin looking lovely for you and guests that will be arriving upon your departure! Need a shuttle service while you are visiting our area? Maybe you are looking for a guided tour of our very popular local wine trail, the Shawnee Wine Trail. Give Jillian a call – 618.201.4841 – or visit their website by clicking here. Your payment information is secured using industry-standard SSL encryption. Click here to read more about our secure credit card processing.